USA. The book explains how and why the original Dallas Tornado was created by sports entrepreneur and member of the National Soccer Hall of Fame, Lamar Hunt. The story follows the unusual team selection, by the new coach Bob Kap, who recruited 16 young, inexperienced but talented players from various countries in Europe. 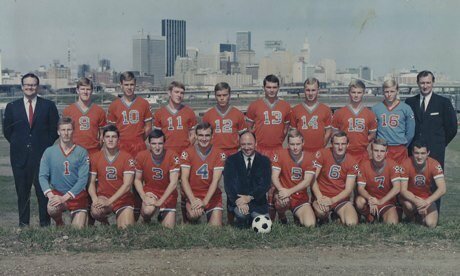 In an effort to prepare these young players and gain experience for the inaugural North American Soccer League (NASL) season in 1968, the team ventured out on an unprecedented seven-month world tour. A tour, that would be impossible to make in today’s environment. At the same time, the Dallas Tornado became ambassadors to spread goodwill and to promote Dallas around the world merely a few weeks after the assassination of John F. Kennedy. This astonishing adventure took the team to five continents and 25 countries while playing 48 grueling matches – many times in front of hostile crowds ranging from 35–50,000. For a period of four months, the team played a game approximately every three days, with only 16 players – two of which were goalkeepers. The players traveled by air and long bus trips, mostly without rest. Most of the players had injuries or illness, but they always continued with a great attitude and strong wills to win. No doctors, trainers, nutritionists or even assistant coaches accompanied the players on the trip. Coach Kap joined the group of players ranging between 16-21 years old. The team played two games in Vietnam whilst war raged all around them. They went on a fully armed patrol boat 10 miles up the Saigon River to an army ammunition depot, where they visited and entertained American soldiers. 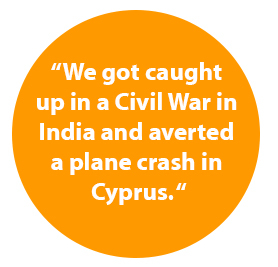 We got caught up in a Civil War in India and averted a plane crash in Cyprus. Half the team was lost in the Bengali jungle, between India and Pakistan, who at that time was at war with each other. The team was stoned by a hostile crowd in Singapore, forced to cancel a second scheduled game. They became the first American sports team of any kind, to be granted Visa and play soccer in Burma. These and many more incredible stories can be found in this easy-to-read book. Stories are provided by the players themselves and brilliantly organized and written by #8 Fons Stoffels. The book marks the 50th Anniversary of the original Dallas Tornado and the amazing world tour. This book is a must for all North Texas Soccer players, coaches and fans, young and old.